When you visit Temptations, we’ll take account of your lifestyle and hair type when we cut, colour or treat your hair. After all, we believe your hair should be easy to style at home. And as a L’Oréal partner, we use only the finest shampoos, conditioners and finishing products that truly nourish your hair including L’Oréal Professionnel Série Expert. Combined with our expertise in the latest cutting-edge styling techniques, you can be sure we’ll achieve the perfect look for you. 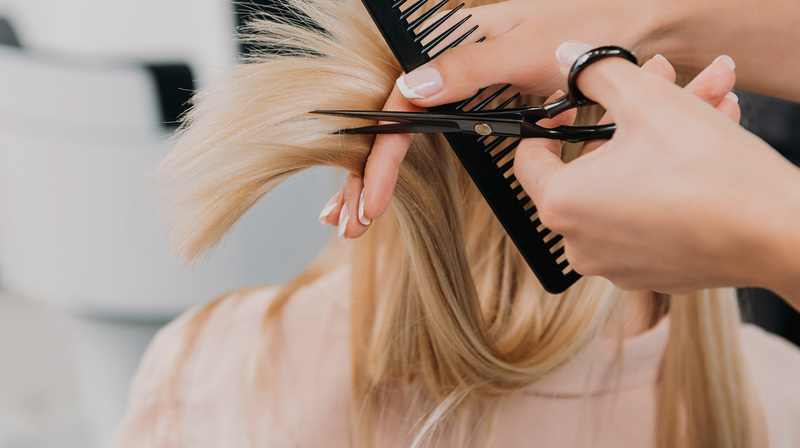 From colour correction to balayage, we’ll only use products that are kind to your hair such as Majirel permanent colour, Dia Richesse semi-permanent colour and Dia Light toner. Choose from a range of shades or talk to our colour experts for advice. A skin test is always taken before we carry out any colour treatment. If you suffer from an unruly frizz, this could be for you. The latest KeraStraight smoothing treatment acts to softens the hair, taming and repairing it at the same time. Reducing the waves in naturally curly hair, it’s the ideal way to get a sleeker look. Part of a new generation of hair strengthening systems. L’Oréal Smartbond penetrates deep into the shaft to bond and repair damage. It transforms over-straightened, over-bleached or sun/heat damaged hair back to its healthy state. It can also protect the hair during the colouring process too. L’Oréal Smartbond is available standalone or as a course of treatments. The result: shiny, glossy hair that looks nourished and in great condition. You can find a full list of our hair services and pricing below.